This native coneflower has longer petals than the more common Echinacea purpurea that hang down in a hula-skirt type fashion. 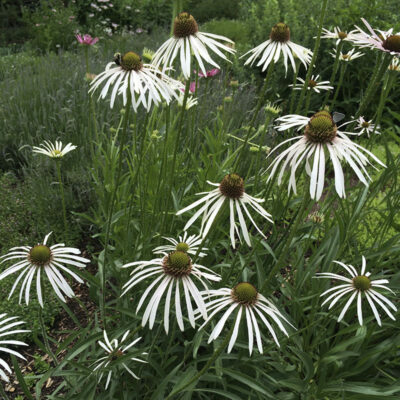 Very elegant in the garden, and it mixes well with grasses and other natives. The flowers attract butterflies, and finches absolutely love the seed. Plant in full sun with good drainage. 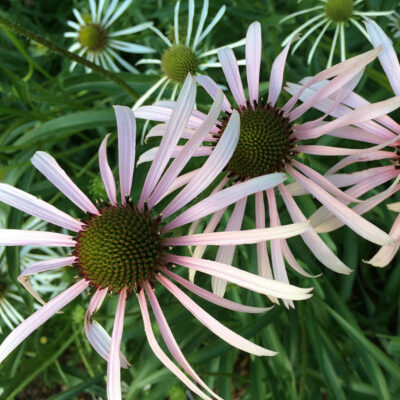 Requires less water than other coneflowers. Height 3-4′. Spread 1-2′. Zones 4-8.